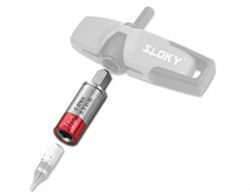 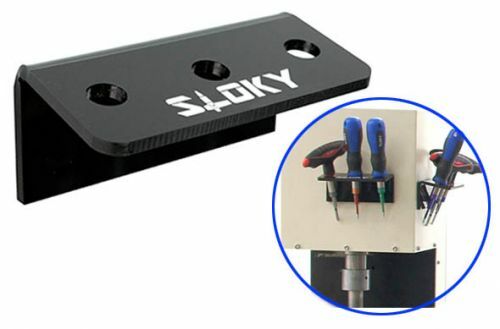 Cover the smallest 0.6Nm to biggest 5.5Nm adapters with one universal handle. 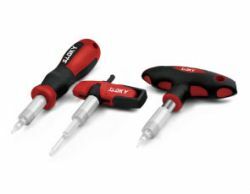 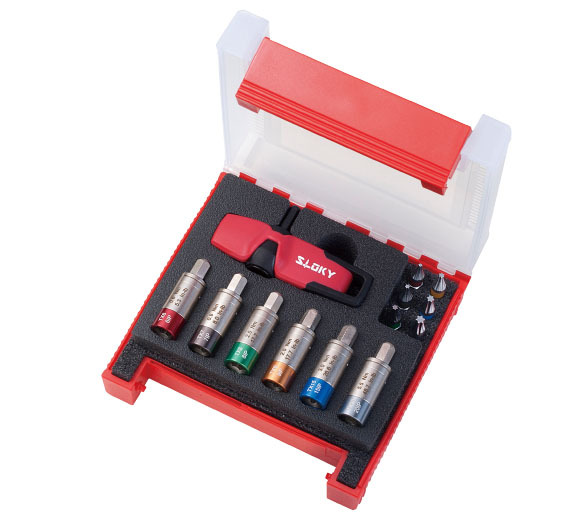 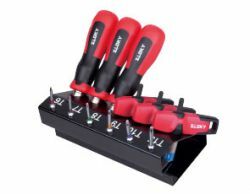 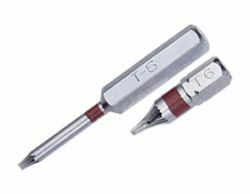 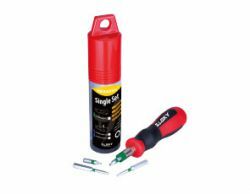 Specially customizied universal handle with 6 adjustable torque adapters (0.6 ~ 5.5Nm) and 6 pcs of 25mm Torx bits. 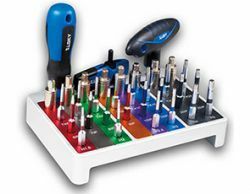 It's a multi set for operator to have in the field jobs. 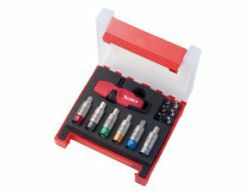 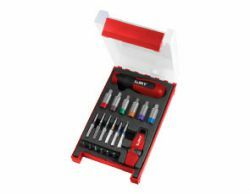 Case x 1, Handle x 1, Torque Adapter x 6, 25mm Bits x 6.